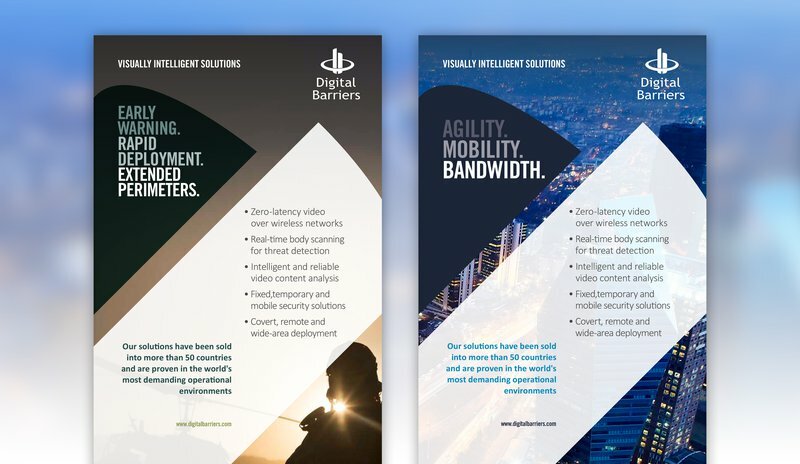 Digital Barriers provides software solutions and cloud services to manage the capture, analysis and streaming of live video, enabling actionable intelligence to be delivered where it’s needed, when it’s needed. 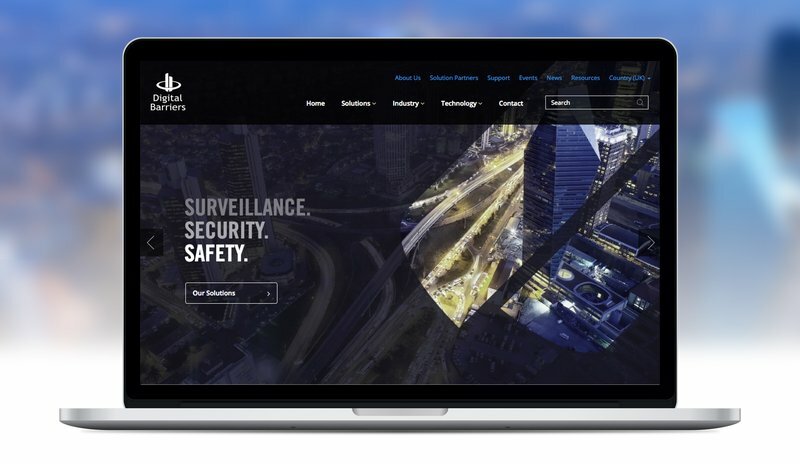 Chaos has been working with Digital Barriers since 2015, developing their website and online presence. Chaos created a unique look and feel for the Digital Barriers brand based upon shapes taken from their existing logo. We produced a guidelines document which covered elements such as photography styling, font choices, brand colours and use of graphic elements – all the tools needed to create new brand assets for Digital Barriers. Chaos has redeveloped the Digital Barriers website to include integration of their Salesforce database. We also newly designed page templates to help Digital Barriers quickly and easily create new digital marketing campaigns. The CMS and hosting have been upgraded. The hosting is now a cloud based solution which scales automatically as traffic fluctuates from normal levels to sudden activity surges - often from interest driven from the news and media. Further new functionality includes the integration of their Salesforce database which automatically pushes new enquiries directly into Salesforce, helping to minimise data duplication, and helps the Digital Barrriers team quickly respond to new leads and media enquiries.